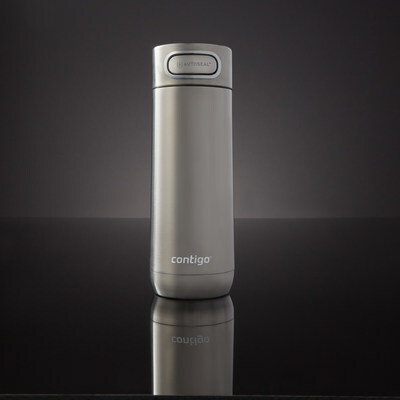 CHICAGO, March 13, 2019 /PRNewswire/ -- Contigo®, a leading innovator of water bottles, travel mugs and kids bottles, expanded its stainless steel thermal and hydration lines with the launch of the LUXE Collection. The collection is comprised of two products: the LUXE Stainless Steel Tumbler with Spill-Proof Lid and Straw and the LUXE AUTOSEAL® Vacuum-Insulated Travel Mug. Both the tumbler and travel mug feature THERMALOCK® technology, allowing beverages to stay at their desired temperatures for longer. The LUXE Stainless Steel Tumbler includes a fully sealed lid and straw to guarantee a 100% spill-proof* experience. The unique straw has a built-in valve that ensures no spills will occur if accidentally tipped or dropped. The lid and straw come apart for easy and thorough cleaning, and the lid, straw and body are top-rack dishwasher safe. The LUXE Stainless Steel Tumbler, which comes in 18 oz. ($24.99) and 24 oz. ($29.99), is available in a variety of colors including Biscay Bay, Brushed Stainless Steel, Licorice, Monaco and Passion Fruit. The Contigo LUXE AUTOSEAL® Travel Mug uses a technology that completely seals the mug when not in use to provide confidence against spills. Simply press the button to drink, and release the button to automatically seal the mug. The lid can be locked when not in use to ensure the button is not pressed accidentally when being stored or carried. The underside of the lid opens for cleaning, and both the lid and bottle are top-rack dishwasher safe. The LUXE AUTOSEAL Travel Mug is available in 12 oz. ($19.99) and 16 oz. ($24.99) and comes in several colors including Biscay Bay, Chard, Licorice, Merlot, Monaco, Passion Fruit, Spiced Wine and Stainless Steel. "We have been looking forward to sharing the innovative LUXE Collection with our consumers," said Dave Lew, vice president, brand marketing for Contigo. "The spill-proof technology provides confidence on-the-go, and beverages are enjoyable for hours with maintained temperatures due to the THERMALOCK vacuum-insulated stainless steel design." 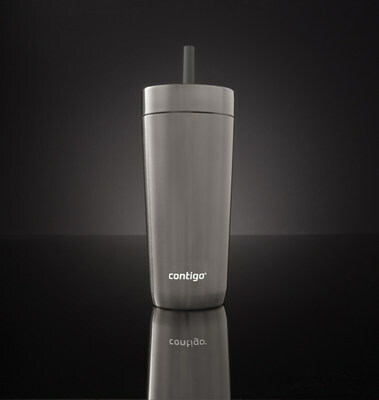 To learn more about the Contigo LUXE collection, visit www.gocontigo.com or visit the brand's Instagram (@GoContigo) or Facebook at facebook.com/GoContigo. Newell Brands (Nasdaq: NWL) is a leading global consumer goods company with a strong portfolio of well-known brands, including Paper Mate®, Sharpie®, Dymo®, EXPO®, Parker®, Elmer's®, Coleman®, Marmot®, Oster®, Sunbeam®, FoodSaver®, Mr. Coffee®, Graco®, Baby Jogger®, NUK®, Calphalon®, Rubbermaid®, Contigo®, First Alert®, and Yankee Candle®. For hundreds of millions of consumers, Newell Brands makes life better every day, where they live, learn, work and play. This press release and additional information about Newell Brands are available on the company's website, www.newellbrands.com. *Spill-proof guarantee applies to container only. Residual drops in the straw may come out when tumbler is tipped.